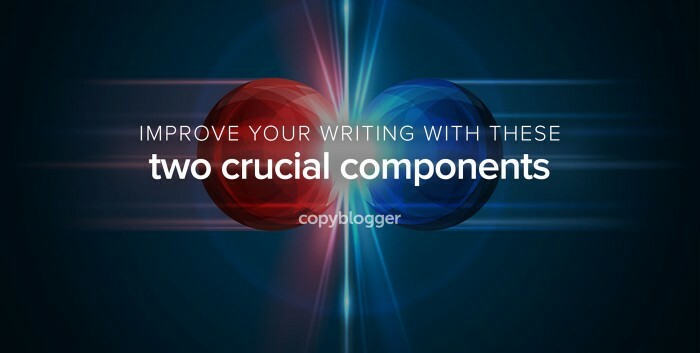 What’s your biggest challenge when creating compelling content? I didn’t treat it as a poll with various challenges. I wanted pure, unfiltered responses. Keeping it original and interesting. So, let’s talk about that today. The two elements that lead to reader engagement, social media sharing, and the “gotta have it now” impulse are meaning and fascination. But you knew that from the subhead. Let’s unpack each a bit. Meaning: This is the informational aspect of your content that your regular readers, listeners, or viewers expect from you. This is also a topic that matters to the prospective audience you’re trying to reach through social media sharing. Another way to think of this important aspect of your content is relevance. Content must be highly relevant to your existing and prospective audience, but I prefer meaning, as it implies an extra level of value that makes people treasure you. Fascination: The fascinating element of your content is where your creativity shines. It’s the fun, shocking, or entertaining aspect of your content that makes people pay attention and share with their friends and colleagues. Often you’re using an analogy, metaphor, or simile to make an associated connection between something cool and an important topic that might otherwise be pretty boring. Not only does this attract and hold attention, it also aids in comprehension and retention for your audience, which in turn increases your subject-matter authority with them (because they actually learn something). 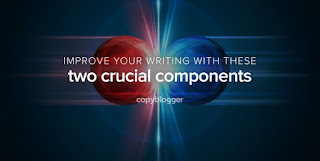 This article took a highly improbable source of fascination to deliver the meaning readers of Copyblogger seek — how to write better. It’s pretty easy to spot the meaningful and fascinating elements in that one, right? Many people, especially in professional services or conservative industries, are afraid to go out on a limb and throw in that fascinating aspect. I’d argue that these are the types who have the most to gain from breaking out of stodgy convention and shaking that moneymaker a bit. You can get a lot of mileage out of industry inside jokes and references that are completely obscure to outsiders. Remember, you don’t care what anyone else thinks other than your target audience. And from post to post, you may only bond strongly with a small segment of the people you talk to. One article speaks strongly to some, the next to others. The point is to bond strongly with someone rather than boring everyone. Bonus points if you got that the subhead for this section is a terribly clever Blue Öyster Cult and Human League reference: (Don’t Fear) the Reaper + (Keep Feeling) Fascination. Also, if you have to explain your terribly clever reference, it’s too obscure. Clarity matters more, no matter how cool the author thinks it is. It’s true that you can intrigue people with an overwhelming amount of relevant meaning, to the point that it becomes fascinating in and of itself. This is the realm of list and how-to articles that go viral on sheer value alone. The key to this type of engaging content is specificity. The more specific the value you promise and provide, the more fascinating people deem it. Hopefully you feel the same way about this article. In each example I’ve given, you can spot the intersection of meaning and fascination from the headline alone. That’s why meaning + fascination = the secret to engaging content and great headlines. Remember, the title of your article is simply a compelling promise of what your content offers. When I say write your headline first, I mean come up with an intersection of meaning and fascination, reduce it to a working title, then deliver on the promise by crafting the content. If you find you can’t deliver on the promise, you’ve got to scrap that idea and find another. Don’t strain to make a bad analogy work; simply look for another pairing of meaning and fascination — they’re everywhere once you understand what you’re looking for.